The Edward Cameron Dimock, Jr. Prize in the Indian Humanities was awarded to Dipti Khera for The Place of Many Moods: Painted Lands and India’s Eighteenth Century. The Joseph W. Elder Prize in the Indian Social Sciences was awarded to Bharat Venkat for At the Limits of Cure. In her book, Professor Khera points out that by the early eighteenth century, Udaipur in Northwestern India was at the center of pioneering material and pictorial experiments in presenting the sensorial, embodied experience of space. A wide range of objects, from large-scale court paintings, three to five feet long, to painted invitation letter-scrolls up to seventy-two-feet long, formed representations of Udaipur’s lands, lakes, and bazaars as well as Northern India’s prominent temples and Indo-British durbars. These objects demanded audiences to make emotional connections of belonging to and longing for real places in the present, and in imagined ideal times in the future. Moving beyond a valuation of art and aesthetic practices predicated on their mimetic merit, Udaipur’s painters, poets, scribes, and travelers offered bhava – the feel, mood, and emotion – of a place as a rich, layered category to perceive. While generating emotions and moods in visual and literary arts was foundational to the theory of Indian aesthetics, its connection with pictorial practice was hardly straightforward. Professor Khera argues that Udaipur’s unique phenomenon contributes a novel form of art history that was synchronic with Eurasia’s own interests in establishing sociability based on structures of feeling and experience of emotions. The cultures of connoisseurship, immersion in pleasurable places and powerful seasons, and practice of politics are artistically bundled to produce thick bonds and lingering memories. Such description of territorialities and of spatial knowledge in topographical images, when placed in the wider history of painted lands, can be seen to confront European visions of history, aesthetics, and landscapes. The emphatic circulation of place-centric art across objects, genres, and spaces is the unifying framework of The Place of Many Moods. Its chapters examine the perspectives of courtly communities, of Jain monks, merchants, and pilgrims, who intersect within bazaars, and of the officers, explorers, and artists connected with the British East India Company. The creation of persistent relations between affective phenomenon and efficacious desires, art and knowledge, and politics and aesthetics calls upon us to imagine – distinct from colonial and nationalist accounts of decadence – a history of praise and place in India’s eighteenth century. Dipti Khera is an assistant professor in the Department of Art History and the Institute of Fine Arts at New York University. She earned her Ph.D. in Art History from Columbia University and was an AIIS junior fellow in 2009-2010. 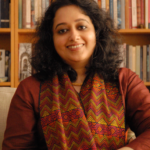 Recent publications that introduce her forthcoming book include “The Joys of Bonding,” in Visions of Paradise: Indian Paintings in the National Gallery (2018), “Jagvilasa: Picturing Worlds of Pleasure and Power in Eighteenth-Century Udaipur Painting,” in A Magic World: New Visions of Indian Painting (2016), and “Marginal, Mobile, Multilayered: Painted Invitation Letters as Bazaar Objects in Early Modern India” in Journal18 (2016). She is co-curating an exhibition at the Freer and Arthur M. Sackler Gallery of Asian Art, Washington, DC, developed in collaboration with the City Palace Museum, Udaipur, that will introduce broader audiences to an understanding of aesthetics, pleasure, and emotions in Indian art. She is formulating with colleagues at NYU a project on ‘Empires of Pleasure across Eighteenth-Century Cultures’, and she is a collaborator with Global Horizons in Pre-Modern Art, an international initiative funded by a European Research Council Consolidator Grant through the University of Bern (2018-2023). Bharat Venkat’s book At the Limits of Cure addresses the notion that in both scholarly and popular conversations, cure is frequently taken as an ending—of illness, treatment, and of suffering more generally. What if, instead, we were to approach cure through its limits; through its partiality and fragility; through the many ways in which it falls apart, unravels or comes undone? Drawing on historical and ethnographic research on tuberculosis in India, At the Limits of Cure tells a story that stretches from the colonial period, a time of sanatoriums, travel cures and gold therapy, into the postcolonial present, in which eugenicist concerns dovetail uneasily with antibiotic miracles. This work examines a range of curative reasons as they come up against their limits: in the contrast between idyllic sanatoriums and crowded prisons, through which freedom became a kind of therapy; in ships filled with coolies and soldiers seeking work and treatment across the British empire; in the networks of scientists who developed and tested antibiotics in India as a means of asking whether geography and poverty really mattered to therapeutic success; in clinics where families wondered about the marriageability of tuberculous children who were cured over and over again; and in the reworking of mid-century eugenicist rationalities in the face of contemporary drug resistance in India’s urban centers. Taken together, these chapters suggest that approaching cure at its limits provides a stronger, less idealized foundation for thinking the ethics and politics of treatment, and medicine more broadly, in India today. In the mid-twentieth century, the city of Madras hosted India’s first randomized controlled trial, a study of the efficacy of antibiotics in the treatment of tuberculosis. In the wake of that study, it was largely agreed, tuberculosis became a curable condition. Yet, over fifty years later, it is estimated that there are more cases of tuberculosis in India than anywhere else in the world. Widespread drug resistance has left some wondering whether the curable has become, once again, incurable. Through all of this, however, a question remains unasked: what does it mean to be cured in the first place? 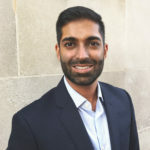 Bharat Venkat is an assistant professor in the Department of Anthropology at the University of Oregon; starting in July 2019, he will be assistant professor at UCLA’s Institute for Society and Genetics. He earned his Ph.D. in Anthropology from the University of California, Berkeley. His work has appeared in academic journals as well as in more public forums, ranging from Cultural Anthropology and Public Culture to Somatosphere and Public Books. He has been awarded fellowships by the American Council for Learned Societies, the Social Science Research Council, the Wenner-Gren Foundation, and the Charlotte W. Newcombe Foundation and participated in the AIIS 2013 summer Tamil Program in Madurai. In addition to his research on medicine, he has been developing a series of new projects related to urban design & climate change, financial planning for the apocalypse, contestations over the definition of sham marriages in relation to immigration benefits, and the comparative study of cults.